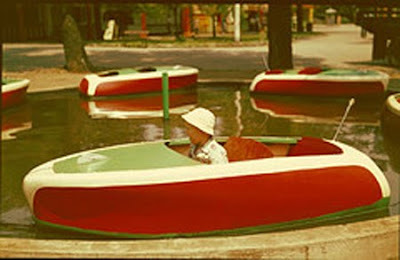 Coney Island Woody Boat. Circa 19?? This eBay item Coney Island Amusement Park Boat claims to be circa 1910.. if so Mr Gar Wood has some spain’n to do. 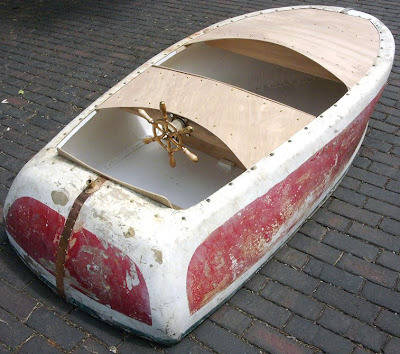 Cause he ripped off a 1910 boat that really looks like one of his 40’s Gar Woods…. That might also explain how Chris Craft came up with that nice bow on my 1941 Barrel back… Dang, to think it was all inspired by a Coney Island boat ride. All kidding aside, it is a very cool little boat. Here is a shot of what it could look like. This must have been taken in 1910 with a very futuristic color camera… And very fashion forward kid. At least there will be no guessing of original colors from old b/w photographs. Amazing the technology available back then!